Too bad the weather wasn't that nice and it started rain after 1 and half hour the kick off. I wasn't surprise that not much people turn out coz due to the year end and also school holiday but we all having fun and enjoy the beach very much. We manage to collect 15Kg plastic bottles, 5Kg of Aluminum Cans and 68Kg of General Waste. 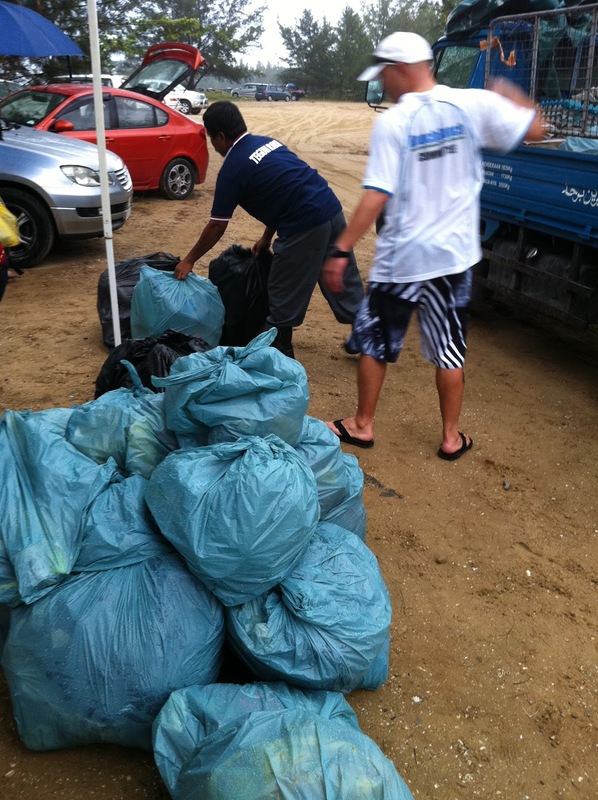 So our Beach Bunch's next cleanup could be drop at next year end of January 2011 so guys see you again next year. Wish you guys Merry Christmas and a Wonderful New Year!! !